Billy’s dad served in WWII, my dad served in Korea. Billy served during the Vietnam war. His son served, and now his grandson is serving. So far, God has blessed the service men in this family, and they’ve come home healthy and unharmed. Until the fulfillment of the prophecy that man will “study war no more,” we will need courageous men and women to defend our nation and serve on our behalf. God bless all those who answer the call. This entry was posted in Personal and tagged veterans, veterans day. Bookmark the permalink. Amen, Linda. My husband served in the Marine Corp, my son served in both the Navy and the Army, the last during our push from Kuwait to Baghdad. My other son served in the Coast Guard. Proud of them all. Thankful they too came home unscathed. 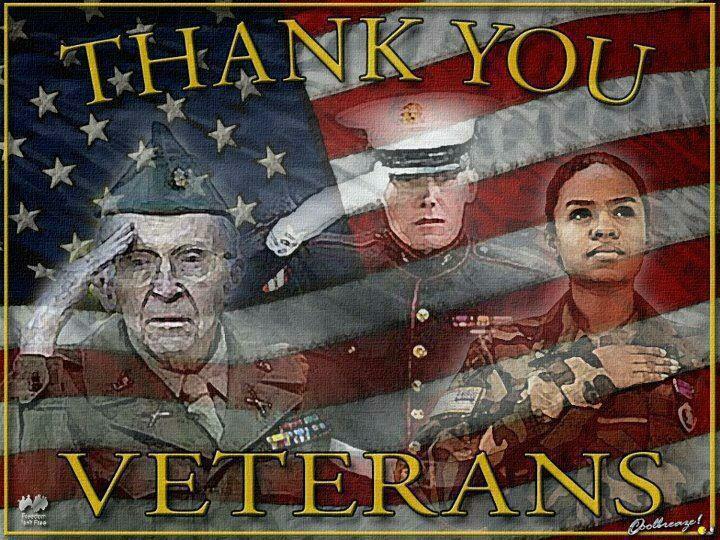 God bless our veterans those currently serving. I join you in your thankfulness! And thank *you,* too. Those who serve have others behind the scenes who must do without them. That’s just as much a sacrifice for the country as actual military service.